A 60-year-old female had burning and immobilizing pain in her left hip following herpes zoster. She could not walk. For 1 month she tried different prescribed medication and also was hospitalised where she had taken specialized drugs. However, pain did not improve. First reliefs after just two treatments. Full recovery achieved after 7 treatments. At 6 months follow up no relapses reported. At 2 year follow up still no relapses. 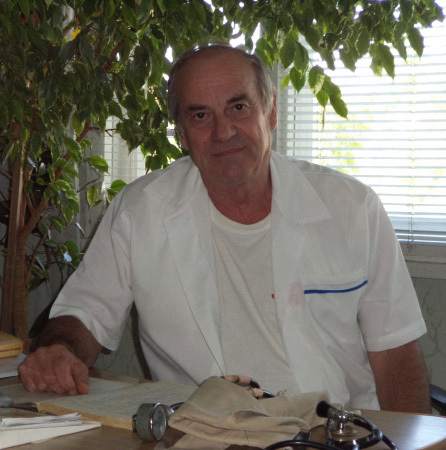 Dr Peycho Zlatev MD, has worked as a doctor for all his life after graduation, which totals more than 41 years. He says that he learned the trade as young internist in his home town of Dryanovo, where during night duties he was on his own and had to take decisions in the moment in emergency cases. For more than a decade he headed the Cardiovascular department of a national sanatorium in Bankia, with a capacity of 105 beds dedicated to people with post-stroke conditions, infarcts, hypertension and so on. There he became interested in physiotherapy and acupuncture, and he had the opportunity to converse with some of Bulgaria's best experts in those fields and also to try out the best devices available. Due to the economic chaos after the fall of the totalitarian system, many healthcare structures were closed and Dr Zlatev had to find another way. He ended with a successful private practice again in his hometown of Dryanovo. The main features that attracted patients to Dr Zlatev, are his excellent abilities as a diagnostician and his ability to help his patients, using medication far more cheaply than they would find prescribed elsewhere. Not an unimportant issue in a poor town! The case participant provided informed consent for conducting and publishing the case study. © Copyright 2017, Zlatev. This article is distributed under the Creative Commons license, which permits unrestricted use and redistribution provided that the original author and source are credited.